When I was a sophomore at New York University, I thought I caught pneumonia. But after reviewing my x-rays, the doctors determined that my illness was actually Hodgkin’s lymphoma. My dad found out about the diagnosis before I did. He got the call while I was at the Outside Lands music festival. He kept it to himself for a week before telling the rest of my family. I was the last to find out. One afternoon, I heard members of my family crying upstairs and went to see what was wrong. They had all heard the news. I was glad to be surrounded by family. They were there to comfort my mom, who had collapsed in shock. My cousins and I went outside and talked about it. We came up with a bucket list of things I wanted to do while in treatment. I was determined to have as much fun as I could. The hardest part was realizing that my life would be put on pause. I was about to enter my third year of college. I had so much of my life planned out. Suddenly, I felt behind. Then there was the unknown. I had no idea what was going to happen next. I knew everyone would find out about my cancer. I grew up in a small suburb where everyone knows everyone. I felt a lot of pressure when people started texting me to see how I was. It was overwhelming to try and respond to everyone. That’s when I created my Facebook group. It was a way to update everyone who wanted to be in the loop about my treatment. Dozens of people started asking how they could help, and I realized I could make my treatment process something positive for people I’d never even met. I organized candy donations for our troops. We raised money for charitable organizations. And at every round of chemo, I would post a funny picture of myself to assure everyone I was okay. Now, I’m back in school and finishing my final semester at NYU. Things have changed since my treatment. I used to take planning very seriously—every weekend, I needed to know what I was going to do and when. Now I go with the flow a lot more. I try to say yes to everything, and I am more willing to take risks. Because I never know where life will take me and what memories I’ll make. Being diagnosed with cancer is like joining a club that no one wants to be a part of. But once you’re in it, you have to support one another. It takes a village to beat cancer. 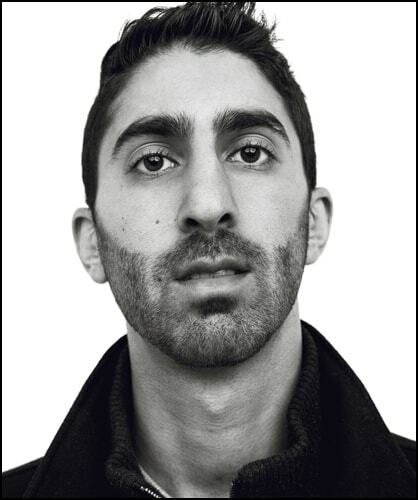 Layth is a 23-year-old Iraqi American born and raised in the Bay Area, California. He is currently finishing his final semester at New York University and plans to continue working as a professional in New York City. Layth looks forward to a full life of uncertainty, happiness, and good health.